About The Last Jedi Script… UPDATE! 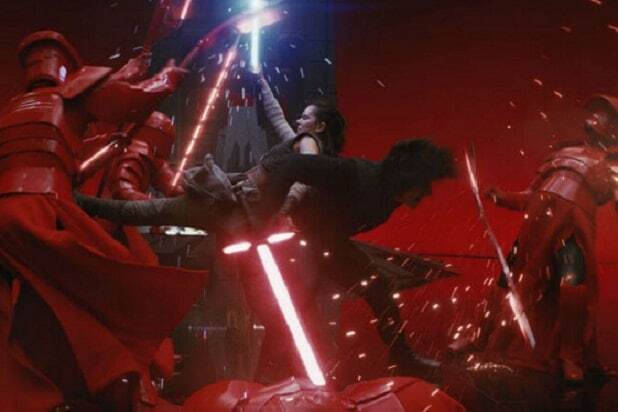 The Last Jedi script was made available at the Academy’s Margaret Herrick Library and podcaster Who Talks First made the trip and managed to get some of the exact lines from the script. Continue reading About The Last Jedi Script… UPDATE! Posted on December 5, 2018 December 15, 2018 Author swshadowcouncilCategories News, Star WarsTags Ben Solo, Episode IX, Kylo Ren, Luke Skywalker, Rey, rey skywalker, rian johnson, Star Wars, The Last Jedi, The Last Jedi Script5 Comments on About The Last Jedi Script… UPDATE! This video highlights the Duality of the Skywalker Legacy born from the choices of the Chosen One: Vader and the Darkness | Anakin and the Light. Kylo Ren seeks out the power of Darkness from Vader; he seeks to finish what his Grandfather started. Ultimately, only the Light of the Skywalker Legacy Saber calls out, and it chooses Rey. She follows a path hauntingly similar to both Anakin and Luke, but Rey’s last chapter is not yet written…. What will become of the Skywalker Legacy in Episode IX? One thing I really don’t understand is why so many people think we’ve received the full story about Luke in the Last Jedi. Shall we review?